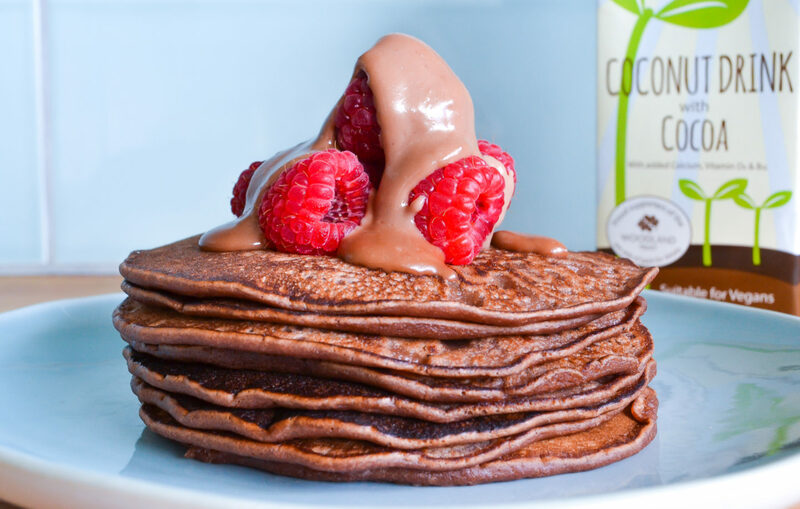 I’d been trying to think up something to make with the cartons of Planted I’d been sent to try out, and who doesn’t love a chocolate pancake? I felt like a dairy free chocolate pancake recipe was in order. If you tend to look for dairy free alternatives, Planted could be worth trying the next time you’re shopping. It currently comes in two flavours – oat drink with banana and coconut drink with cocoa – and two more flavours are on the way along with smaller, ready to drink cartons. Both flavours are vegan approved by the Vegetarian Society, and are fortified with calcium (for maintenance of normal teeth & bones), vitamin D (for absorption of calcium & phosphorous) and vitamin B₁₂ (for normal function of the immune system). They also tick the conservation box – a donation of 2p for every 1L carton sold goes to the Woodland Trust, the UK’s largest woodland conservation charity. If you wanted to make them vegan chocolate pancakes you could easily switch the egg out for half a mashed banana. When the pancake is just starting to set up top, flip it over for about another 10-15 seconds, and then transfer it to a plate. 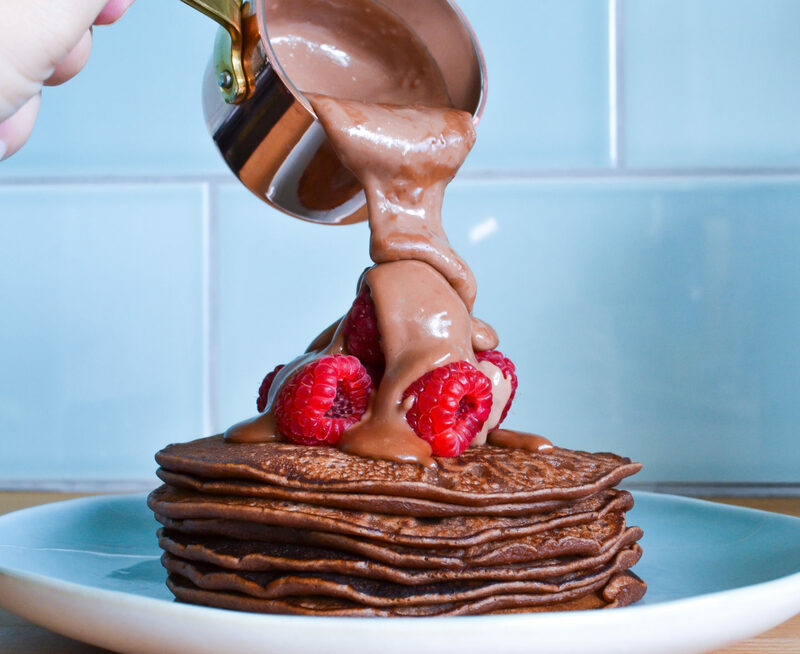 Repeat until you have a pancake stack. 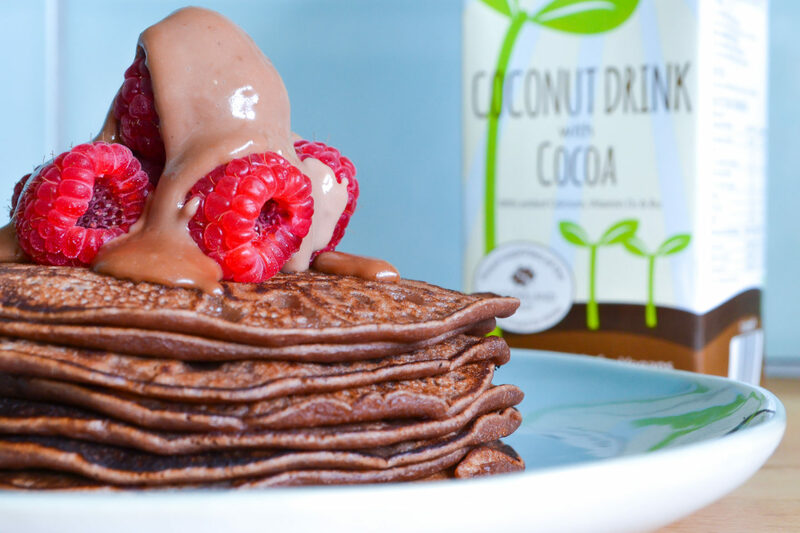 I topped my dairy free chocolate pancakes with raspberries and a peanut butter sauce. I made the sauce by heating about a tablespoon of peanut butter gently in a pan and adding Planted coconut drink with cocoa until I had a thick pouring consistency. Pour the sauce over the pancakes and you’re ready to serve. 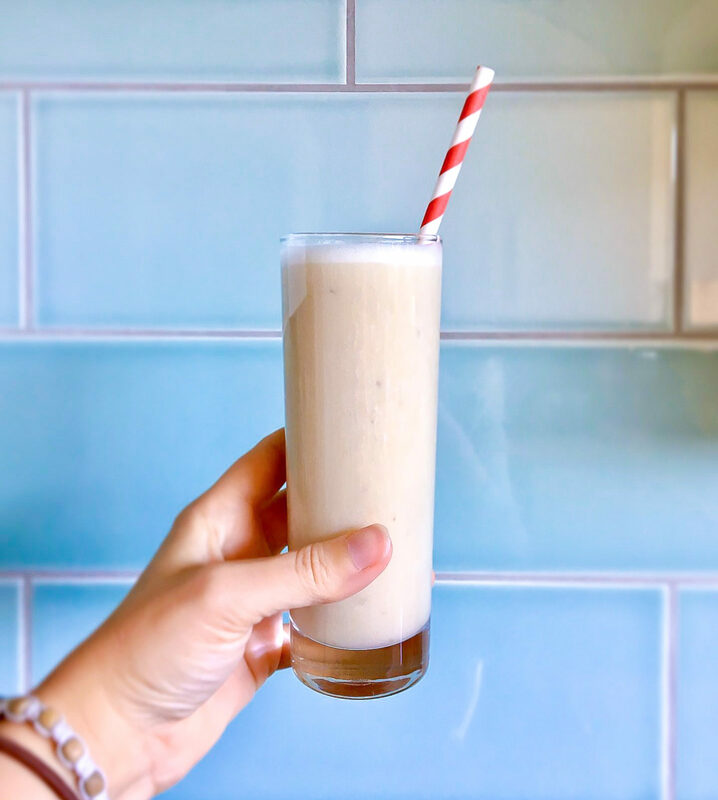 To go with the chocolate pancakes, I made a really simple smoothie using bananas and the Planted oat drink with banana. I used two bananas and filled a regular Nutribullet cup about two thirds full. Then I just blitzed it up and served with a straw. (Paper obviously.) Two bananas made enough for two people. 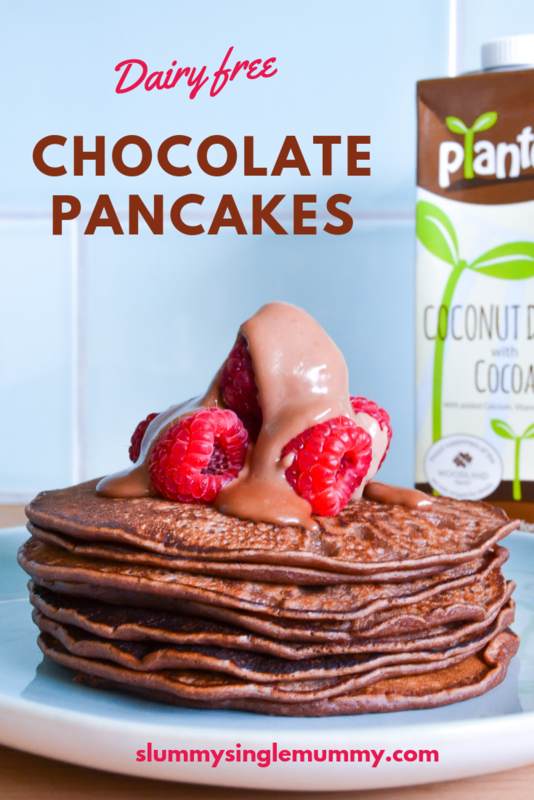 If you enjoyed these dairy free chocolate pancakes please consider sharing the post or pinning for later. You might also fancy checking out my slippy peach pancakes. Wow, these look to die for.